Create two different cranberry products with this project, cranberry lip scrub to exfoliate lips and cranberry body butter to moisturize skin. This project is incredibly easy to make and leaves you with two different products. 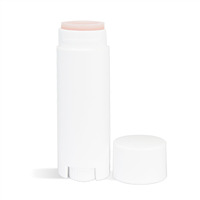 The lip scrub is made with cranberry butter and sugar, and packaged in a natural colored oval lip tube. The remaining cranberry butter can be whipped and packaged in a 2 oz. low profile plastic jars for a moisturizing body butter. The natural color of the lip balm packaging and body butter packaging allows the pink to show through attracting customers to it! You Save $5.20 by purchasing this kit rather than buying the items separately. COMMENTS: I love this kit. I made these up for a retail spot I have and they sold out right away. I will be ordering again soon. Love that I can get two products from one base! "Good value and good product to sell. " 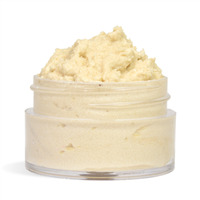 COMMENTS: Customers love the lip scrub and the body butter. Great product to put in your shop if you are looking for some additions to your line. COMMENTS: Love this kit!!! Easy to use! Everything came out great!! Two products in one kit!! • Two products in one. "Love this kit & these products"
COMMENTS: What a great combo. The recipes were super easy and the products came out perfect. My customers can't get enough of the body butter. COMMENTS: This was super easy to make and I love that it created two products in one. Instructions were great and easy to follow. Came with everything i would need. Quality of the lip scrub is great! "MY FIRST LIP/BODY BUTTER KIT"
COMMENTS: This was the first time I tried any kind of lip product and loved that I was able to make body butters too! The body butter was especially easy, melt and pour, super easy. I did not realize there was a video until after I had made the lip scrubs and after watching the video I realized why I had so much trouble getting product into the tubes, I let it cool too much and it didn't pour well but I did get it in there. These kits are great ways to learn new products. • Not enough cranberry flecks in mine. COMMENTS: I absolutely love this body butter kit. When I was cleaning up, I got a little of the cranberry butter blend on my hands. Just rubbed it in and a smidge was enough for both hands and lower arms. "I am a HUGE fan!" COMMENTS: I am a huge fan of this product!! The kit is super easy to use and makes an awesome set!! COMMENTS: The Lip Sugar Scrubs came out amazing. With a hint of Strawberry Sorbet Flavored Oil, it tasted wonderful. The Body Butter made a little more then the 5 Jars which was nice. COMMENTS: Used it to make lip scrubs and tried a body butter with it. Butter was great but lip scrubs are amazing and clients love them. Will keep buying this as long as you have it. 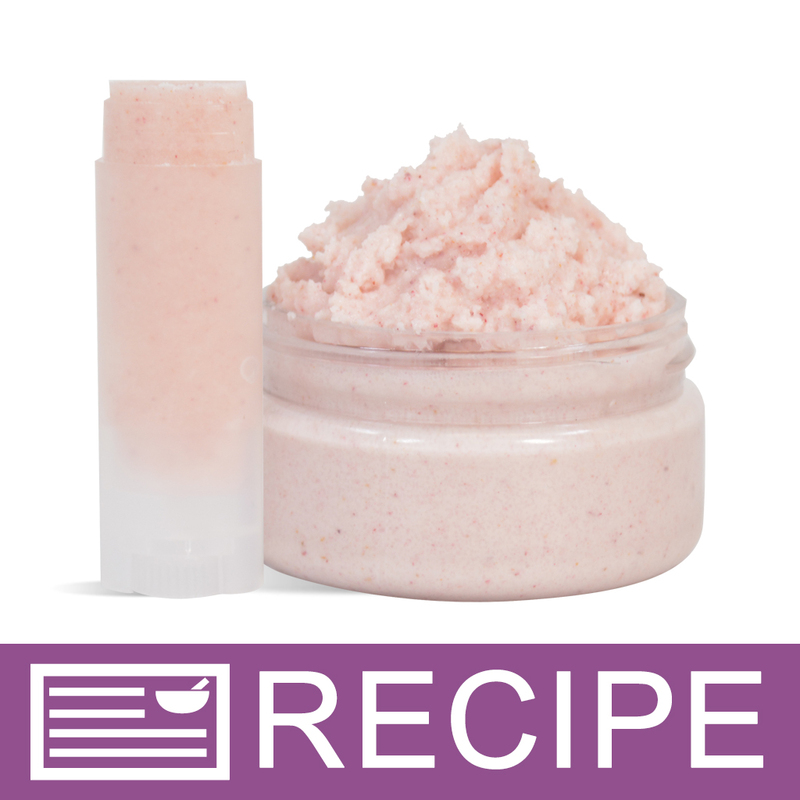 COMMENTS: My daughters and I made the lip scrubs first in this kit and it was so much fun! The cranberry butter is packaged in a very wide-mouth container so it's easy to get out even when it's cold and hard. It smelled so good while melting in the microwave! The finished mix wasn't as difficult to pour into the lip tubes as I had imagined it would be. We decided to whip the body butter portion and add our own sugar to make a sugar scrub. We were left with quite a lot of cranberry butter - so we bought more lip tubes and round jars! The instructions were concise and clear, although we would have liked a line break between the lip scrub and body butter sections. COMMENTS: This is such a great product! It's wonderful to give as an added gift when shipping orders out! 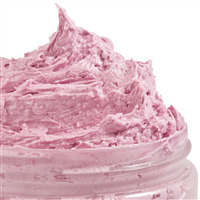 "Cranberry Lip Scrub and Body Butter Kit "
COMMENTS: This was very easy to make, and didn't take a lot of time to do. COMMENTS: I love this kit! I didn't make the lotion. I just bought more lip containers and made more lip scrub. But the kit got me started. Now I can just get the ingredients I need to continue. COMMENTS: This was so easy to make! It ends up looking so professional. The lip scrub works great in the lip tube. I only wish that the kit came with a few extra lip tubes, I had extra lip scrub and a little extra lotion. I guess WSP just wanted me to have some product for myself! "a couple of Q (1) can i substitute avocado butter blend for the cranberry? i know it wont be pink but I have male customers very interested? (2) can i add flavor oil, if so how much? and will adding flavor oil liquefy the texture a bit requiring more sugar? (3) if while pouring into tubes it gets too stiff esp after 4 or 5 tubes, can it be reheated?" Staff Answer You can use another type of butter blend instead of the cranberry. Flavor oil is great to add. We normally recommend around 1%. You will need to test if that is strong enough and also if more sugar is needed. You can slightly reheat the product if it starts to thicken. You don't want to melt the sugar. "What are the required label measurements?" Staff Answer We do list label options under the Additional Information for both types of packaging. "What consistency is this product suppose to be? I made a test tube and it turned out to be kind of dull." Staff Answer The final texture should be mildly abrasive. If your finished product was not abrasive enough you could add more sugar to reach your desired texture. It is also possible that if your butter was overheated that the sugar dissolved. Try not to let your butters reach more than 100°F. "When I poured the body butter into the containers, it separated. All the red cranberry blend fell to the bottom, and it was a Vaseline consistency. What did I do wrong?" Do not pour so hot let is cool down a little so it does not separate. This is from the directions 9. Heat in microwave until blend is almost completely liquid. Remove and stir until butter is completely melted. Let cool slightly so color does not sink to bottom of jar. Stir before pouring each jar to help product stay suspended. "is there a less expensive butter that i could use instead of the cranberry? " You could use Shea butter instead but it won't be pink. "What if I add too much sugar?"